…unless you know how to do it the right way. You know what they don’t tell you? 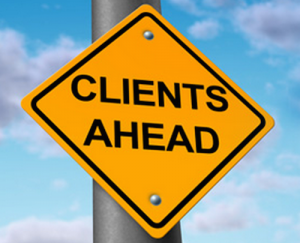 You can stack the odds in your favor to increase your chances of closing the client. One of the biggest factors here is how you set up the close. How do you do that? You give them a nutrition consultation, then dig into the pitch. Let’s say you only have 26 people in your fitness boot camp. You need to close more prospects. Should you close them in a group? Or one-on-one? Here I’m gonna talk about doing one-on-one so you only address their objections. That way, they don’t taint the rest of your prospects. Here’s the plus side: you get to scale the closing process to close more clients at once. It’s an advanced technique that takes practice and preparation to master. It can be done though—you can click here to see my exclusive breakdown on the process—but again, I’m gonna talk about one-on-one closing in this case. But let them know that you’re scheduling their nutrition as a bonus perk that wasn’t on Groupon or whatever daily deal site they purchased from. So when you meet with them, spend the first 20-25 minutes going over their nutrition with them. Again, this is another chance to add value before you get into the pitch. Earn the right to sell them. So in one day, you might do four of them. Maybe you schedule the next person for Thursday at 2:00. By the end of a week, you get all 26 done. Talk nutrition for the first 20-25 minutes, and then go right into a pitch. That’s when you get into your sales pitch and close them and all that good stuff. But your chances increase when you do the close one-on-one in a private environment, where you can address the client’s concerns with them face to face.